Click Choose... and open the androVM OVA file you just downloaded. 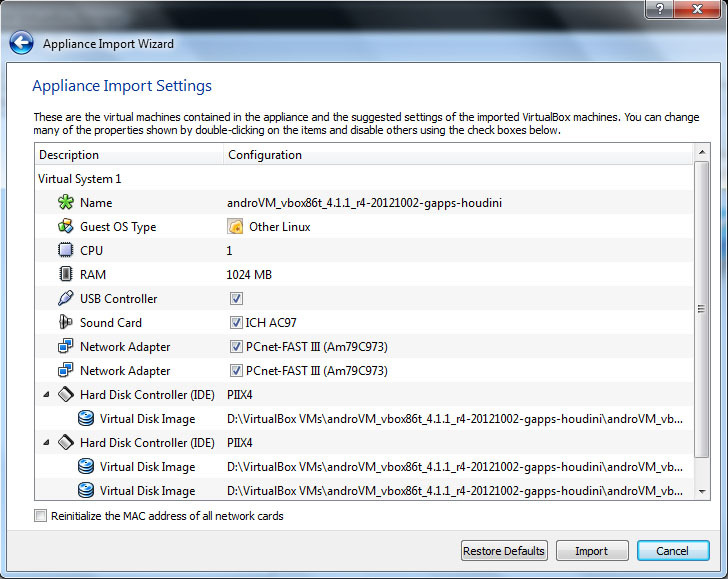 Select androVM and click Start (big green arrow) button. Done. It's just that easy. Enjoy the Jelly Bean Goodness. Dude, the google Now doesn't work and when ever i try to use google search, it says "Unfortunately, google search has stopped"
How can you get apps the need internal storage or an SD card to work within the Virtual Machine? Thanks! 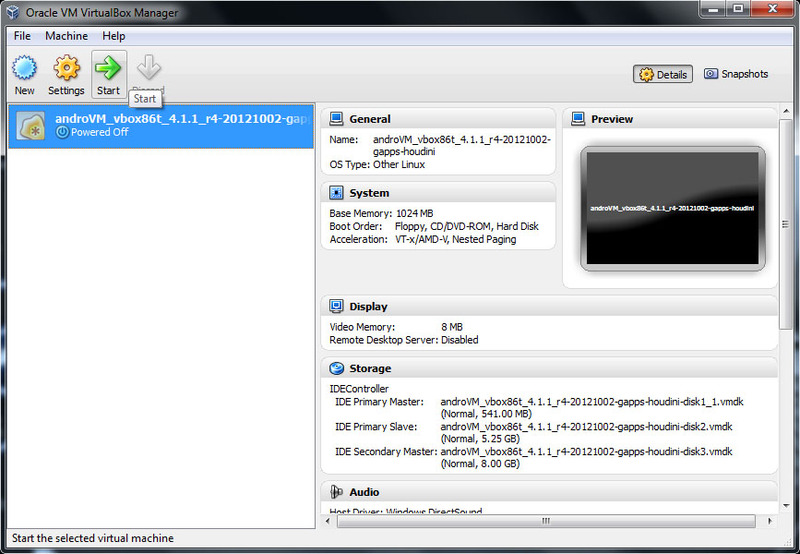 The internal storage and SD card are already preconfigured in the OVA file. Both are working virtually. 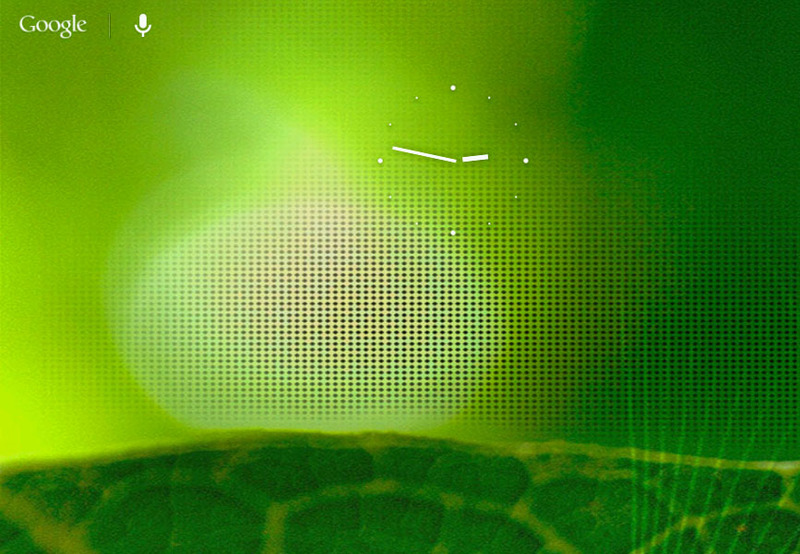 I've downloaded many games (SD + HD) and live wallpapers. They don't work on my VM. It says "Unfortunately, xyz has stopped." Also, Google Search crashed very frequently. Thanks man! 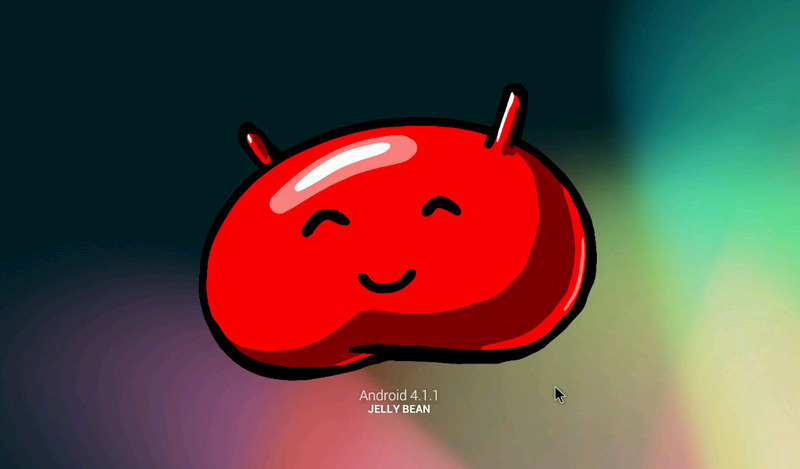 Finally a fast and good working Android 4.1 for your PC. Installed the ..._gapps.ova version in VBox 4.1.22. Boots up but can't get out of the loggin screen. Tried looking for shortcuts but nothing works. Got everything started up and I can unlock it by dragging to the lock. But once it locks again then I can't unlock it. Any ideas on what's going on? I'm using the 'p' version you have listed above. Hi Marc, press Home button on keyboard and you can drag to unlock again. marc and sadiq hit esc on the lock screen then re drag the lock it should then open. Mike downloading apps the easiest way is to find the developers website and find the app file download on forums, or use 4shared.com to down load the app file. once you have done this email your self the unzipped file if needed then open your email in the emulator. There may be other ways but this is the fastest way i have found as play store only issues a licence to major manufacturers so i don't think you can access play store in an emulator i may be wrong though. me encantó, muchas gracias, thanks a lot. It runs ok the first time but why cant I run it any other time ??? Can you give me a URL to the ISO of Android v 4.1.1 for x86? I've searched so long for any running "normal Virtual Android.... Great Job... :D Now I can test my apps before i install it on my phone. how do i go to the home screen ? Press the Home key on keyboard will take you back to the home screen. Please how can i get my host files to the VM? Settings>About tablet, then rapidly click Android version. Hmm, lock up one me. Grub works, then decompression of the kernel works then it just hangs at 'Booting the kernel'. I've tried with 4.1.14, 4.1.22 and the current 4.2.6 Virtual Box Debs. I dont get it. Works great for me on my HP G62 laptop. Only questions I'm having are: How do I get it to rotate back to landscape mode in the Vbox? I zoomed it to full screen, and lost that little menu bar that was under the screen showing VBox menu. You can go back to windowed mode by pressing Host+F. The default Host key is should be Right Ctrl. which's the back, home and menu button in the keyborad of notebook? is there anyway that i can download application in here? I am enjoying it fairly well. When I try to import it, it says..
Failed to import appliance C:\Users\use\Downloads\androVM_vbox86tp_4.1.1_r6.1-20130222-gapps-houdini-flash.ova. Could not create the clone medium 'C:\Users\use\VirtualBox VMs\androVM_vbox86tp_4.1.1_r6.1-20130222-gapps-houdini-flash\androVM_vbox86tp_4.1.1_r6.1-20130222-gapps-houdini-flash-disk1.vmdk'. Do you already know how? Or you could just use bluestacks and enjoy the google play store from your computer:..
Is there anyway to get a virtual sim card or fake a phone number in the phone version. We want to test out some apps. Thanks for your hard work in making this build work. One other question whats the best way to shut down the emulator? or how to power it off? Thanks In Advance. Is there anyway to have a virtual keyboard like home back and and recent apps? HOW DO OPEN RECENT APPS IN THIS? Thanks..... I was looking for this from a long time..
how to install apps and how to add music, photos etc???? how do i download apps??? so how would i either get the google play app, or download apps thru the browser?? anyone know how to mimic the recent apps button? what is the keyboard shortcut while using android-virtualbox whatsapp? 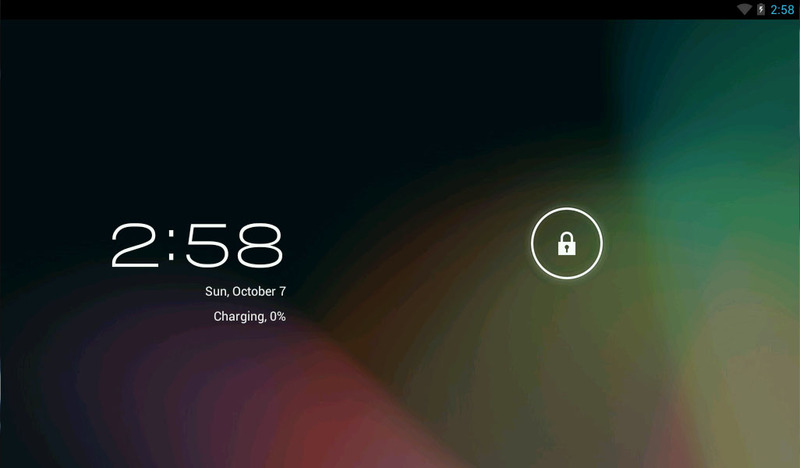 Télécharger Android Nougat 7.0 au format .ova pour VirtualBox Version 5.1.30 r118389 (Qt5.6.1). Android est un logiciel libre basé sur d’autres logiciels libres. For several type of androbox, the firmware are ready to download officially from their website. You better added to this article.